I'm loving the GoGo Hares! 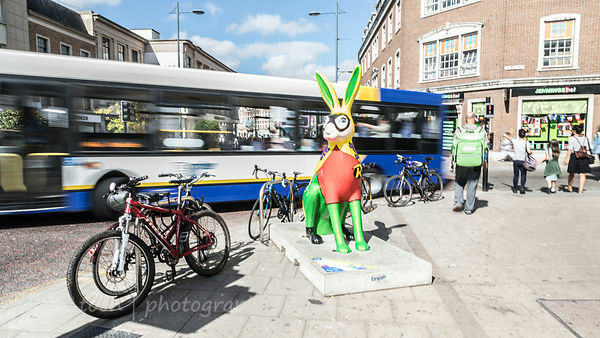 In Norwich yesterday for the anti-Trump protest outside City Hall, I was able to find a few of the fifty city hares around the town centre, and see a few of the 164 leverets, too (the little guys I found were mostly in shop windows). 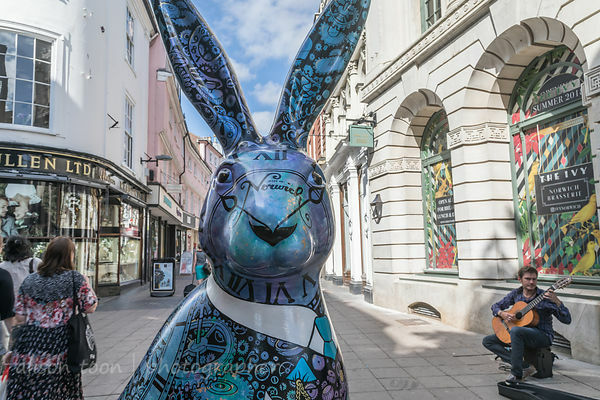 In addition to the fifty city hares, there are another eighteen GoGo Hares around the county of Norfolk, including a beautiful chrome, stargazing hare here in Cromer. 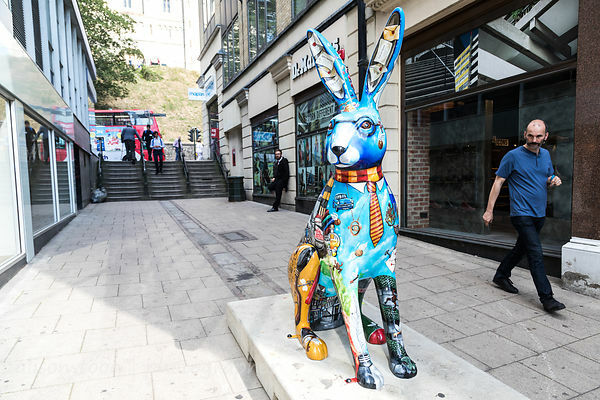 Celebrating 50 years of the Norfolk children's charity, Break, and in partnership with Wild In Art, the hares are all unique: colourful, symbolic, cheerful and inspiring. Each one has a story to tell. 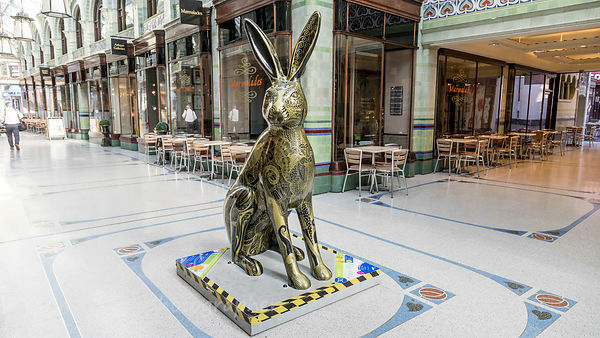 Find out all about the GoGo Hares here, on their website--there's a trail map to download so that you can find them all, and an app too. The hares are here until September 8th. See if you can find them all! 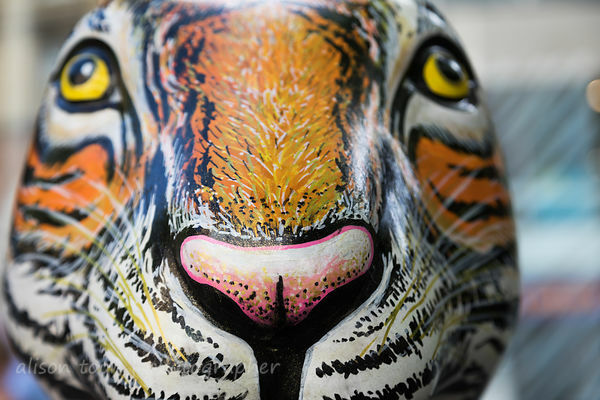 They are all numbered, and you can read all about the individual artists here. And if you want a GoGo Hare to call your own, all of the city hares, and a few of the county hares, will be auctioned in October! Information here! The proceeds will go to support Break in their work with children. More photos of the hares here (and I will add more as I find them). They are not numbered and I have not included their locations: you have to go track them down yourselves!